The old way of doing politics in the UK has not withstood the pressure of Brexit. Our political system, which is based largely on unwritten rules, norms, and conventions, has crumbled under the weight of delivering the most significant constitutional change in the UK’s peacetime history; conventions have been cast aside and norms upended, often without so much as a batted eyelid. Brexit was a sign of many things, one being a rejection of the political status quo and of an establishment politics that lectures from Westminster. What Brexit Britain needs is a rebooted democracy - and the public agrees. New polling by YouGov for Unlock Democracy has shown a big appetite for change amongst voters, and change that cuts to the heart of the very foundations of the way politics is done at the moment. For starters, our polling found that nearly two thirds of the British public (59%) believes that “the old way of doing politics no longer works” and “radical change” is needed. Only a small minority (3%) thought that the current political system works well and needs no improvement. It’s clear that the public want things to be done differently - and drastically differently, at that. The assumption often presides that change in British politics is underpinned by slow and incremental evolution, but voters want a reboot of democracy that involves root and branch reform, rather than tinkering at the edges. The data suggests there is a strong challenge against the overly centralised British state and the UK’s uncodified, or ‘unwritten’, constitution which underpins it. 65% of the public agreed that Britain needs a written constitution providing “clear legal rules within which government ministers and civil servants are forced to act”. That rose to 73% amongst Leave voters, and 69% amongst Remain voters. The UK counts itself in a small club of just three states, alongside Israel and New Zealand, which have uncodified constitutions. The vote to leave was as much a demand put power back into the hands of communities across the country, as it was a call to change our relationship with the EU. The government’s promise - that Brexit would be a “great moment of national change to step back and ask ourselves what kind of country we want to be” - has been reneged on. The government and politicians have become myopic in their vision for the UK. It is those with the money to buy influence and a seat at the table who are being heard in the Brexit process, not the communities, towns and cities across this country. Brexit can and should be a moment of political renewal, and it’s one we’re in desperate need of. 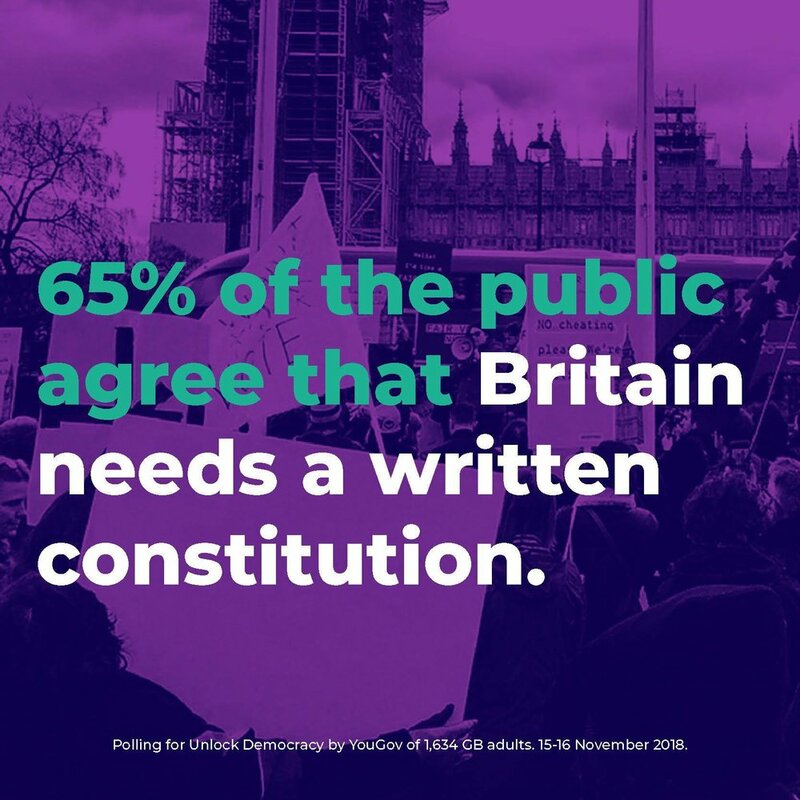 If we’re tearing up the rulebook for how we do things abroad, then we should also tear up the rulebook for how we do things at home - or, as 65% of the British public would like - create a new rulebook altogether in the form of a written constitution.